Orchid Observers, the latest Zooniverse project, is perhaps at first glance a project like all the others. 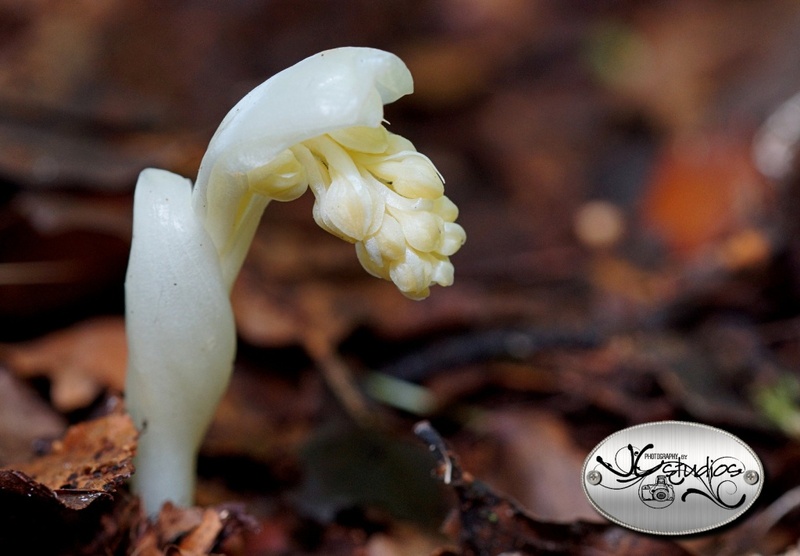 If you visit the site, you’ll be asked to sort through records of these amazing and beguiling plants, drawn from the collections of the Natural History Museum and from images provided by orchid fans from across the country. There’s a scientific goal, related to identifying how orchid flowering times are changing across the UK, a potential indicator of the effects of climate change, and we will of course be publishing our results in scientific journals. Yet the project is, we hope, also a pointer to one way of creating a richer experience for Zooniverse volunteers. While other projects, such as iNaturalist, have made great efforts in mobilizing volunteers to carry out data collection, this is the first time we’ve combined that sort of effort with ‘traditional’ Zooniverse data analysis. We hope that those in a position to contribute images of their own will also take part in the online phase of the project, both as classifiers but also sharing their expertise online – if you’re interested, there’s an article in the most recent BSBI News that team member Kath Castillo wrote to encourage that magazine’s audience to get involved in both phases of the project. BSBI News – published by the Botanical Society of Britain and Ireland, and not as far as I know available online – is a common place for the environmental and naturalist communities to advertise citizen science projects in this way, and so it also serves as a place where people talk about citizen science. The same edition that contains Kath’s article also includes a piece by Kew research associate Richard Bateman chewing over the thorny issue of funding distributed networks of volunteers to participate (and indeed, to coordinate) projects like these. He alludes to the ConSciCom project in which we’re partners, and which has funded the development of both Orchid Observers and another Zooniverse project, Science Gossip, suggesting that we view volunteers as either a freely available source of expertise or, worse, as ‘laboratory rats’. Neither rings true to me. While the work that gets done in and around Zooniverse projects couldn’t happen without the vast number of hours contributed by volunteers, we’re very conscious of the need to go beyond just passively accepting clicks. We view our volunteers as our collaborators – that’s why they appear on author lists for papers, and why when you take part in a Zooniverse project, then we should take on the responsibility of communicating the results back to you in a form that’s actually useful. The collaboration with the historians in ConSciCom, who study the 19th century – a time when the division between ‘professional’ and ‘citizen’ scientist was much less clear – has been hugely useful in helping us think this through (see, for example, Sally Frampton’s discussion of correspondence in the medical journals of the period). Similarly, it’s been great to work with the Natural History Museum who have a long and distinguished history in working with all sorts of naturalist groups. We’ve been working hard on directly involving volunteers in more than mere clickwork too, and ironically enough, the kind of collaboration with volunteer experts we hope to foster in Orchid Observers is part of the solution. I hope you enjoy the new project – and as ever, comments and thoughts on how we can improve are welcome, either here or via the project’s own discussion space. PS This debate is slightly different, but it reminds me of the discussions we’ve had over the years about whether ‘citizen’ science is actually science, or just mere clickwork. Here are some replies from 2010 and from 2013. Very soon after the recent magnitude-7.8 earthquake in Nepal, we were contacted by multiple groups involved in directly responding with aid and rescue teams, asking if we could assist in the efforts getting underway to crowdsource the mapping of the region. One of those groups was Rescue Global, an independent reconnaissance charity that works across multiple areas of disaster risk reduction and response. Rescue Global also works with our collaborators in machine learning here at Oxford, combining human and computer inputs for disaster response in a project called Orchid. And they asked us to help them pinpoint the areas with the most urgent unfulfilled need for aid. And so we sprang into action. 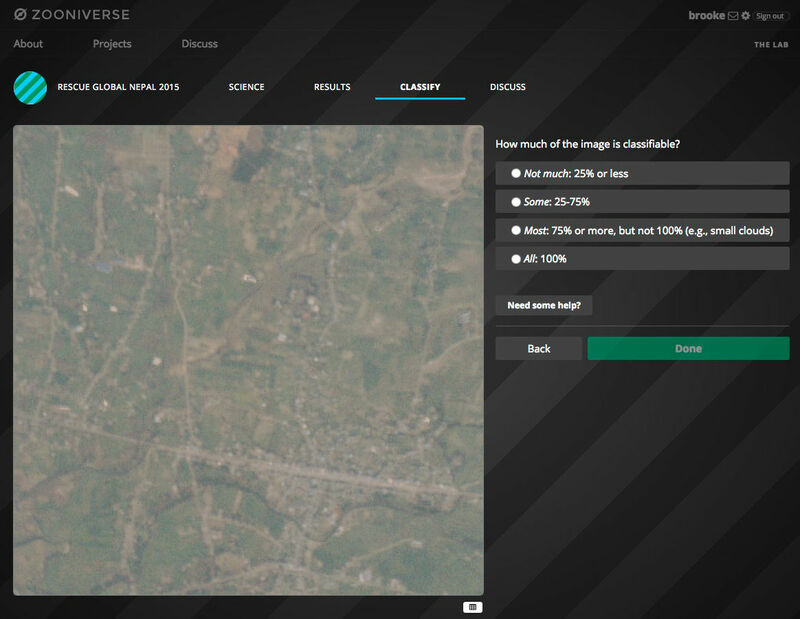 The satellite company Planet Labs generously shared all its available data on Nepal with us. The resolution of Planet Labs’ imagery – about 5 metres per pixel – is perfect for rapid examination of large ground areas while showing enough detail to easily spot the signs of cities, farms and other settlements. After discussions with Rescue Global we decided to focus on the area surrounding Kathmandu, with a bias westward toward the quake epicentre, as much of this area is heavily populated but we knew many other, complementary efforts were focusing on the capital itself. We sliced about 13,000 km2 of land imagery into classifiable tiles, and created a new project using brand new Zooniverse software (coming very very soon!) that allows rapid project creation. Once we had prepared the satellite images, we created the project in less than a day. Users were asked to indicate the strength of evidence of settlements in the area, and then how much of the image was classifiable. We also realised that if we combined our work with the results of some of the aforementioned complementary efforts, we needn’t wait for the clouds to part so that we could get post-quake images. For example, the Humanitarian OpenStreetMap Team (HOT) is doing brilliant work providing exquisitely detailed maps for use in the relief efforts. But here’s the thing: Nepal is pretty big (larger than England). And accurate, detailed maps take time. So in the days immediately following the earthquake, our area of focus – which we already knew had been severely affected – hadn’t been fully covered by HOT yet. And by comparing rapid, broad classifications of a relatively large area of focus with the detailed maps of smaller areas provided by HOT efforts, we could still make very confident predictions about where aid would most be needed even with just pre-quake images. Because our images were in the sweet spot of area coverage and resolution, we were able to classify the entire image set in just a couple of days with the combined effort of only about 25 people, comprising students and staff members from Oxford and Rescue Global staff. For each image, we asked each person about any visible settlements and about how “classifiable” the image was (sometimes there are clouds or artefacts). After the classifications were collected, the machine learning team applied a Bayesian classifier combination code that we first used in the Zooniverse on the Galaxy Zoo: Supernova project. After comparing these results with the latest maps from the HOT team, we saw two towns that were outside the areas currently covered by other crisis mapping, but that our classifiers had marked as high priority. Maps from OpenStreetMap (left) and satellite images from Planet Labs (right) for 2 regions in Nepal. 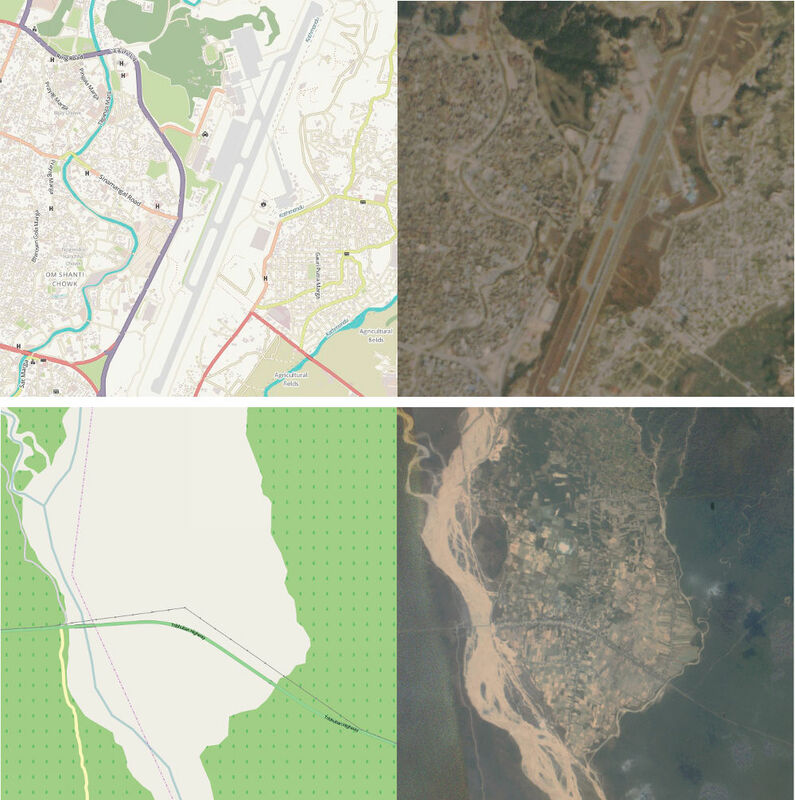 The top area shows the Kathmandu Airport (already well mapped by other efforts) and the bottom shows a town southwest of Kathmandu that, at the time of Rescue Global’s request to us, had not yet been mapped. We passed this on to Rescue Global, who have added it to the other information they have about where aid is urgently needed in Nepal. The relief efforts are now in a phase of recovery, cleanup, and ensuring the survivors have the basic necessities they need to carry on, like clean water and food. Now they are coping with the damage from the second earthquake too. Those on the ground are still busy providing day-to-day aid, so it’s early days yet to properly characterise what impact we may have had, but the initial feedback has been very good. We will be analysing this project in the days and weeks to come to understand how we can respond even more rapidly and accurately next time. That likely includes much larger-scale projects where we will be calling on our volunteers to help with classification efforts. We believe the Zooniverse, Planet Labs, and partners like Rescue Global and Orchid (and QCRI, our partner on other in-the-works humanitarian projects) can make a unique and complementary contribution to the humanitarian and crisis relief sphere. We will keep you posted on the results of our Nepal efforts and those of other, future crises. PS: This activity was carried out under a programme of, and funded by, the European Space Agency; we would also like to acknowledge our funders for the current Zooniverse platform as a whole, principally our Google Global Impact award and the Alfred P. Sloan Foundation. And, to our team of developers who worked so hard to make this happen: you rock. Header image adapted from OpenStreetMap, © OpenStreetMap contributors.